"Fizz, Boom, Read" and "Spark A Reaction" Page! 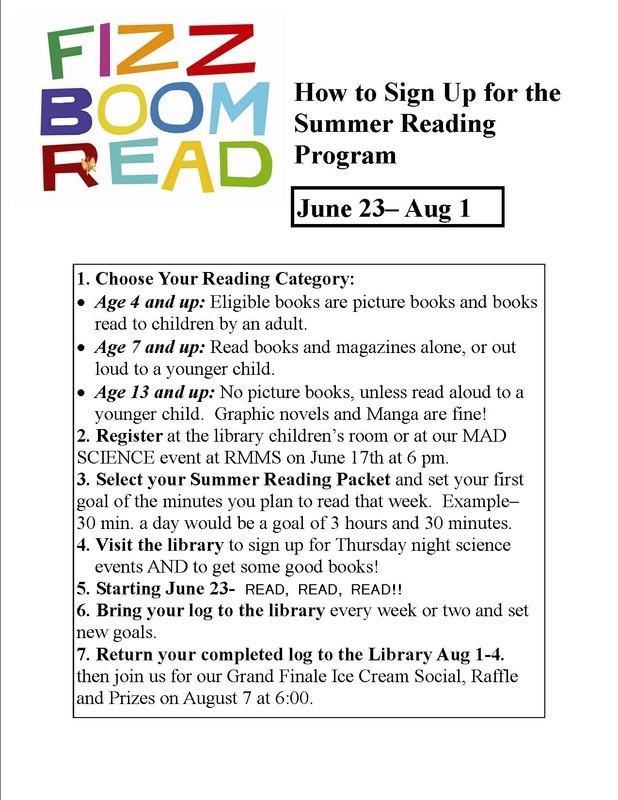 ﻿Thursday Night Activities-Early bird sign up in library only, 6/16-6/21. 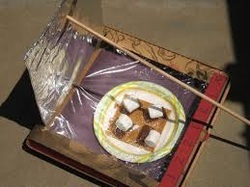 Use the power of the sun to cook a s'more and maybe more! Meeting in the Children's room at the library, with cooking instructions for daylight hours. Celebrate the Nobel Peace Prize winning American inventor of the first integrated circuit (microchip) by creating some crazy circuitry with "Snap Circuits." 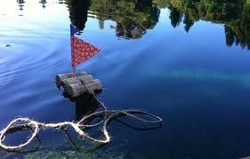 Meet at the library to experiment with water and build a small floating device using recycled materials. Then bring your creation to next week's "floatilla" event! Enjoy a summertime picnic with hotdogs, swimming, things that go fizz and boom, a "small craft" floatilla and more. 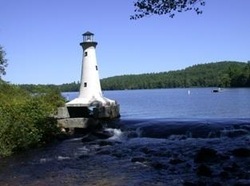 Lifeguards will be on duty. We'll be doing science experiments using items found in a common kitchen! Puzzles for the younger kids, a computer program for the older kids, and preparations for the upcoming Perseids Meteor Shower viewing. SPECIAL EVENT! View the Peak of the Perseid Meteor Shower using our library telescope!